Straight out of the pages of the legendary vampire novel Dracula comes a demon hunter for the modern world. Mina Murray and Jonathan Harker had a son. They named him Quincy. His guardian angel calls him Q. Dracula calls him nephew. Demons call him The Reaper. "There are things in this world that men and women aren't meant to understand. We aren't supposed to know these things exist, much less how to fight them. The things that go bump in the night, the monsters in the closet, the shadow out of the corner of your eye - that's where I live." 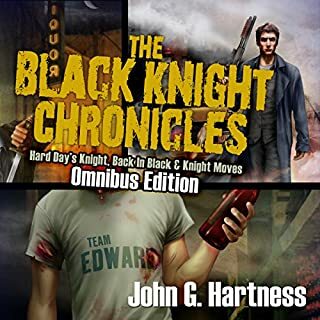 This exciting new series from the author of "The Black Knight Chronicles" and the "Bubba the Monster Hunter" short stories is a walk through the dark side, where things go bump in the night, and somebody has to bump back. Quincy Harker is that somebody. This rocked so much!!! I started this and read in in a day. Absolutely loved it and highly highly recommend! I'm not going to say too much about the plot because it's such a short book that I don't want to spoil it. I will say that it's extremely fast paced and entertaining. I devoured it and honestly didn't want it to end. I don't know how many times I literally laughed out loud with the banter, but I know my boys were looking at me weird!! Harker was one of the best characters I've read in a long time. He was super snarky and foul mouthed but so lovable :) He is Dracula's nephew and hunts demons. This starts with him doing an exorcism with his surly attitude and never stops from there! I'm so looking forward to more of Harker! In all, an absolutely delightful and fun read. Only thing is, I need book 2 now! I thought James Foster couldn't get any better, but he proved me wrong with this book. His rendition of the surly Harker was phenomenal. He really nailed the performance and I hope he does the rest of the series. This was just plain fun. There is something here that hooked me. It was dark, and full of sarcasm. It gets a little "left-wingy" at times which I could do without, I just thought it was the writer being a bit "snarky". The story did not need jabs at Fox News to have a good story. Also, there was one VERY long and protracted Latin section I could have done without. But as for the story and the characters, all top-notch and I will be digging in to this series in the very near future. The narrator (James Foster) gave it a real "old-timey" hard-boiled detective sound and feel that really added to the mood. It made me want to find more of his work. An Awesome Beginning to a New Series, Loved it! Oh hell yeah! "Raising Hell" was an awesome story. I love, love, love the protagonist, demon hunter Harker and his not give a *hoot* attitude. This story had excellent world-building and a fun, exciting, plot. This was so good that I listened straight through. Also it was a novella but it kept me on the edge of my seat. I loved when he had no choice but to summon Asmodeus and the barbs they gave each other were great. I'm really excited about this becoming a series. It's a total hit. 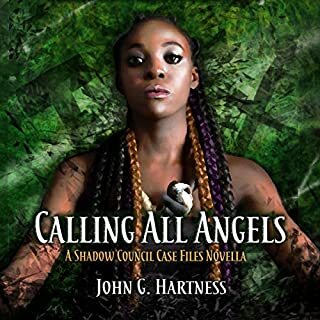 John G. Hartness has a terrific writing style and right out of the gate this book was fantastic. I look forward to more. Tapping nails on desk, I'll be anxiously waiting. Definitely recommended. James Foster is amazing. 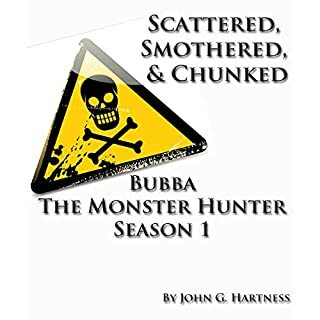 He fits Harker to a T. I thoroughly enjoyed his narration. He's a natural and one of the best. He took a great book and made it an even greater listen. This was a perfect example of author/reader being in sync. Loved it. Of Dracula himself. Great stuff! I was voluntarily provided this free review copy audiobook by the author, narrator, or publisher. Quincy Harker is the nephew of Dracula, has his own guardian angel, annoys the everything out of a local police detective, meets the government backup, and wreaks vengeance on demons and black magic users. He gets called in by a parent to exorcize the daughter, and it all goes south from there. Colorful language and lots of snarky humor make this a good read. Just the right degree of ancient evil with a reluctant but very capable leading man. There are demons and vampires mixed into a modern era, told with a fine mix of serious and lightheartedness. I liked the novella length -- there is a complete story and a fine narrator. My only real complaint is the excessive use of foul language that did little to enhance the main character or the story. Wow, so much good stuff packed into this! Quincy Harker, son of Johnathan and Mina Harker, "nephew" of Dracula, is a Demon Hunter. Yes, you heard me right. Blessed with Extraordinary powers to handle Demons, including strength, speed, magic and sharp wits, he has yet to run into something he can't handle. Until now, it seems. 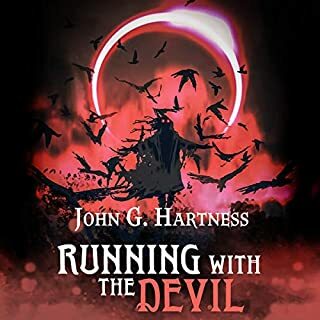 He has to deal with an evil magic user while having to fend off the local cops as well, which is actually a trademark of all the John Hartness books I've read. The characters in this book are all engaging, especially Quincy and his uncle, with quick moving action scenes and a plot that never lags. 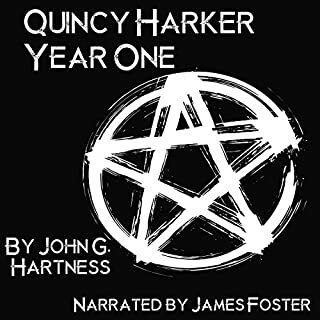 James Foster does a great job Narrating, really bringing the story to life. He is fast becoming one of my favorite narrators. Any fan of urnban fantasy should enjoy this story. 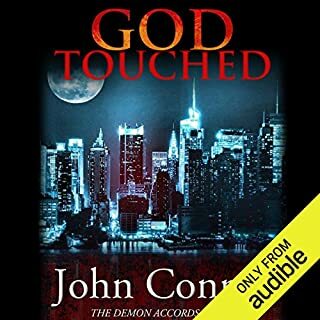 I was given a free copy of this book by the publisher, author or narrator in return for an honest review through Audiobookblast dot com. WHo doesn't love a good hunt? Would you consider the audio edition of Raising Hell to be better than the print version? I haven't read the print version, but I'd wager it is. Would you listen to Raising Hell again? Why? Yes! I enjoyed the book. This book was one I wasn't sure I would like. I really surprised how much I enjoyed the story I was waiting for more at the end. I can just say I enjoyed the book and will listen to many times. This is cool. Just get it!!!! What made the experience of listening to Raising Hell the most enjoyable? It's funny. It's engaging. It's just plain good!! That characters are great as is the story. Dracula is great. The only downside is that I want more!! 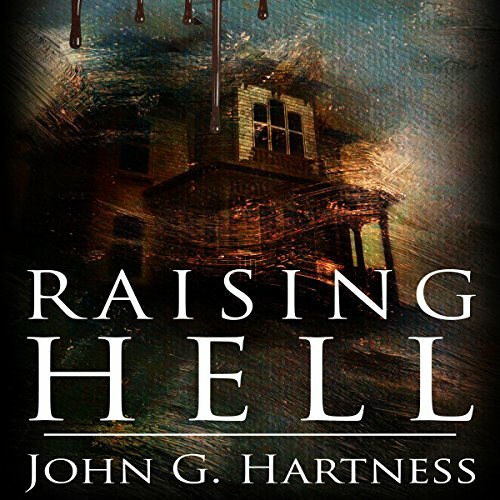 What other book might you compare Raising Hell to, and why? Not sure really. It's kind of like a manga movie in terms of a different take on a recognised character set. Really good story with no fear of the subject matter. It's was good. It gave the story a great edge and really got me into it.